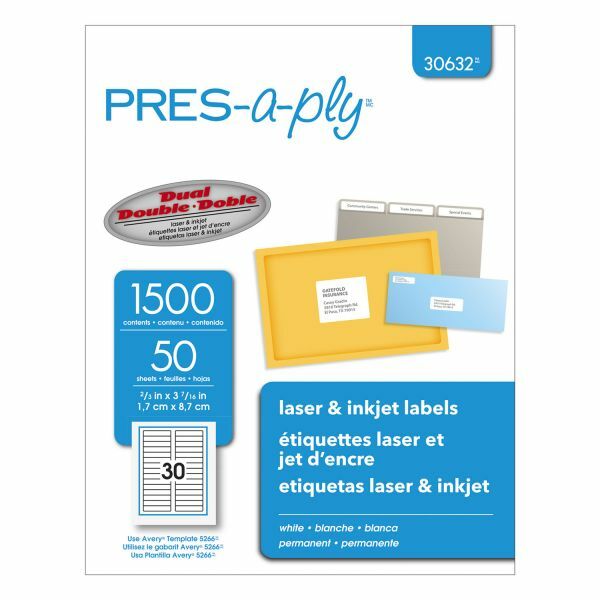 PRES-a-ply Laser File Folder Labels, 2/3 x 3 7/16, White, 1500/Box - Standard laser line labels offer a rainbow of hues. Perfect for color-coding. Strong adhesive ensures permanent identification.